What Will the Holiday Season Be Like at SpringShire? The hustle and bustle of the exciting holiday season is in full swing. With Christmas and the New Year quickly approaching, you may find that your to-do list keeps growing. And, you may find that things are becoming a little more difficult than they once were. 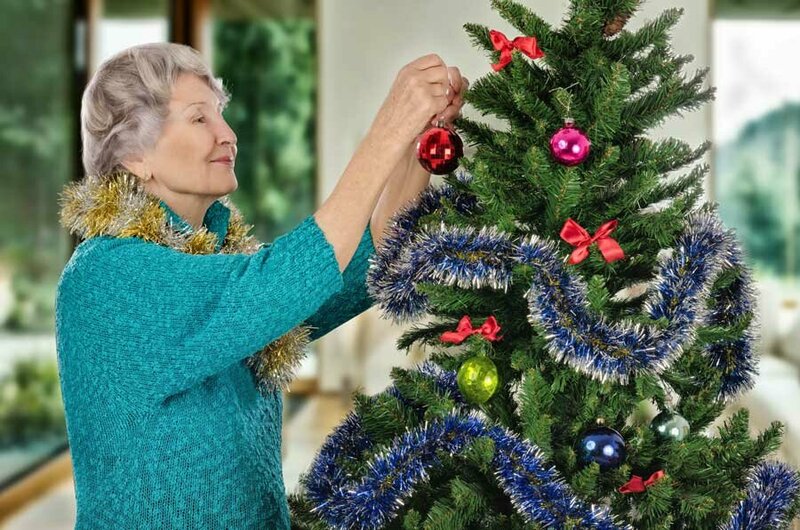 At SpringShire Retirement Community in Greenville, NC you will have more time to enjoy the holiday season, as you will not have to worry about lawn maintenance or all of the other household chores that seem to pile up around this time of year. As the weather gets colder, you won’t have to worry about winterizing your house, preparing the furnace, changing air filters or raking leaves – it’s all covered at SpringShire. And with housekeeping and flat linen services, your home will stay neat and tidy throughout the holiday season. Another great advantage of maintenance-free living at SpringShire is access to numerous on-site dining venues. Especially around the holidays, this will come in handy when your kitchen has turned into a temporary bakery for making sweet treats for family and friends, or when you just don’t have the time or energy to prepare a meal after a long day of holiday gatherings and gift shopping. If you no longer drive, SpringShire will even have scheduled transportation for shopping, so you can get all the gifts you need without having to ask a family member to take you. And, if the cold weather starts to make you feel ‘under the weather’, you will have peace of mind knowing that a full continuum of care is available to you within the community you call home. We also know that the holiday season can be a lonely time for some seniors who are not able to be with family. At SpringShire, you will have plenty of opportunities to socialize and join in on the Christmas festivities, with a full slate of planned activities, entertainment and events. But the fun doesn’t stop after Christmas is over, you will enjoy all of these wonderful amenities and services all year long! If a stress-free, yet exciting, holiday season at SpringShire sounds like your cup of tea, or should we say hot chocolate, contact us today! We can’t wait to tell you more about our beautiful community.